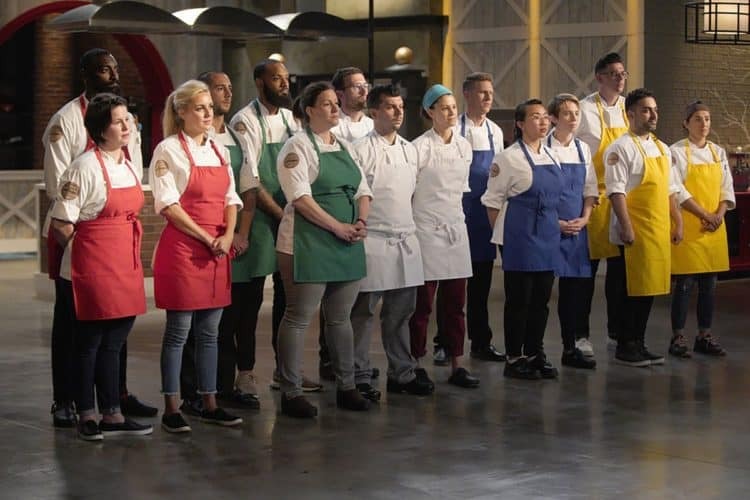 First I’m going to say thanks to Lauren Wiler of the CheatSheet for the great ideas she came up with that I’ll try to expand upon, but then I’ll go ahead and agree that there are some aspects of Top Chef that make it hard to believe it’s not fake. The talent and skill that the chefs bring to the kitchen isn’t fake in any way, these people work hard to attain the skills they have, but when it comes to this show there’s a bit of skullduggery going on at times that makes it less possible to believe that everything is progressing the way it should. When a top celebrity on the show such as Padma Lakshmi actually helps to confirm that the show is in fact staged it doesn’t do a lot for its credibility, though the credit for this does have to go Mashed, who posted a video on YouTube denoting just what was inherently wrong with the show. It’s not something a lot of folks like to focus on since it tends to take something away from the show, but there are times when it pays to not be so gullible or accepting. Here are just a few reasons why Top Chef isn’t quite as real as you might think. 10. Unfortunately the judges aren’t as impartial as you might think. It’s human nature to gravitate towards what you like, recognize, and understand, and this is the case with the judges, who are paid to be impartial but are still only human. It pays to keep in mind that while they do taste a lot of food there are some things to their liking and some things that aren’t, which they’ll admit at times. But unfortunately their own tastes and what they think about the contestants will come to bear on their decisions now and again. 9. Contestants that are seen as better for TV tend to get favored. Your eyes might have just widened and your nostrils might have flared if you think that favoring a chef that looks more TV-worthy over another isn’t fair, and you’d be right. Chefs, like everyone else, come in all shapes and sizes and appearance and it’s best to judge them on their skill and not their looks. But when it comes to TV the producers are looking to give the audience a pretty face or someone that they like to push on them. It’s not fair at all but it does happen. 8. There’s been some heavy editing done in the past. This is something you would have to expect on a cooking show since mistakes are going to be made, things are going to go sideways at some points, and people might not get along. There could be a reason why you see a lot of chefs keeping their heads down, apart from the fact that they’re on the clock and need to concentrate. 7. There have been actual accounts of chefs being bullied not to contact anyone. This alludes to them contacting anyone outside of the show to tell them what’s going on or how they’re doing. It’s one thing to protect the integrity of the show and prevent people from spilling the beans about what’s going on behind the scenes, but it seems wrong to tell folks that they can’t contact anyone at all. Some of the chefs do travel a long way and might need to hear a familiar voice. 6. There are parts of the show that are obviously scripted. Sometimes you can tell by the way people talk since real folks just do not talk in this manner. The scripted words normally don’t flow as well as regular speech would and it’s all too obvious that they’re doing their best to remember their lines. 5. It does seem as though some contestants are pre-determined. The use of foreshadowing in a cooking show seems pretty lame since if it gets noticed then it’s already a wrap for the other contestants no matter how they do. There have been times when the superior dish was judged down for the dumbest of reasons and the lesser dish was pushed for this or that and was allowed to win somehow. 4. The judges deliberating seems like more of a show for the audience. This does seem as though it might be a thought that’s rattle around in the judge’s heads while they’re eating. They could be making their decision as they’re chewing or the moment they’re done. The deliberation seems like more of a show than anything. 3. A lot of times the judges are coached on how to keep their composure. It’s kind of obvious that some of the judges want to either jump out of their seat with excitement or just blast the contestants for one thing or another Ramsay-style, but that’s not the point of the show. 2. Thankfully the selections of what to cook are usually random and don’t play to any particular chef’s strengths. This doesn’t have as much to do with the show being fake as it gives it a little more veracity since the dishes that need to be made using the various ingredients do tend to rely solely on the skill of the chef and their imagination. 1. The reactions of the chefs don’t always seem to be genuine. If you’ve ever worked in an honest to goodness kitchen then you know very well that chefs can be some of the most unhinged perfectionists in this world and will come unglued and lose their ever-loving minds if things don’t turn out the way they need them. That’s why the calm and cool composure of some of these chefs doesn’t make a lot of sense. If you want to see how the hosts and producers defend the veracity of the show then you might want to check out Nicole Weaver’s article on the CheatSheet, it might offer a differing viewpoint.